Last week, the customs duty on agricultural products was reset, but this week, the President's target was the markets. In summer, the drama of the citizen who faced the tomatoes, the winter grew even more ... In the winter under the 10-liter fruit and vegetables became. last week, the customs duty on agricultural products was reset, but this week the president had markets in place. President Recep Tayyip Erdoğan's announcement that interest and inflation figures dropped yesterday brought to mind the economic downturn that began last year and deeply affected our lives. "A time of agriculture and animal husbandry country" food prices in Turkey's burning hands, literally. According to the United Nations Food and Agriculture Organization (FAO), global food prices decreased by 3.5 percent in 2018; Food inflation was 25.11 percent in Turkey. In the first months of 2018, interest rates of 8 percent in the band rose to 24 percent at the end of the year. 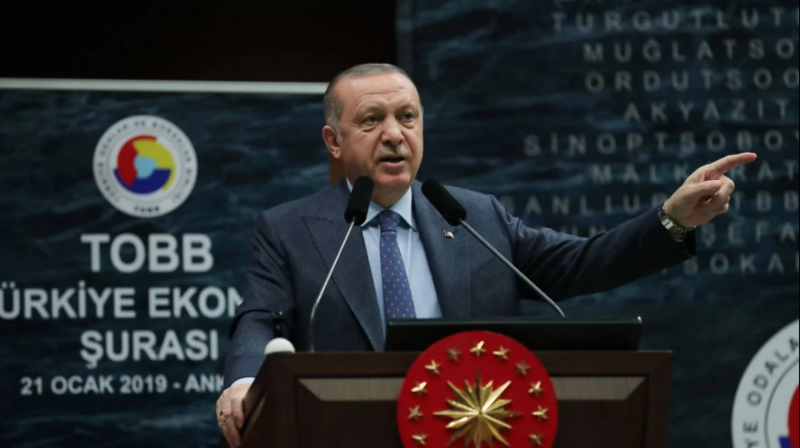 President Recep Tayyip Erdoğan, who spoke at the TOBB Economy Council, attended by 365 Chambers and Exchange Managers, made evaluations on the price increases in the market. Since we are proud of the tradesmen's morality, we have to question ourselves in the face of recent events, said Erdoğan. However, interest rates have fallen and inflation has fallen; What do we explain with that? So if there are those who continue to struggle to exploit my people in these grocery stores, it is our duty to ask the account and ask for their account. Everything is in the middle, figures are in the middle, the manufacturer is out of the middle, but there is no slightest decline. Such periods are not periods of fluctuation and increase of profit, but also periods of lifting the country and society by reducing the profit if necessary. Apparently some people misunderstand the promise of turning the crisis into an opportunity," he said.